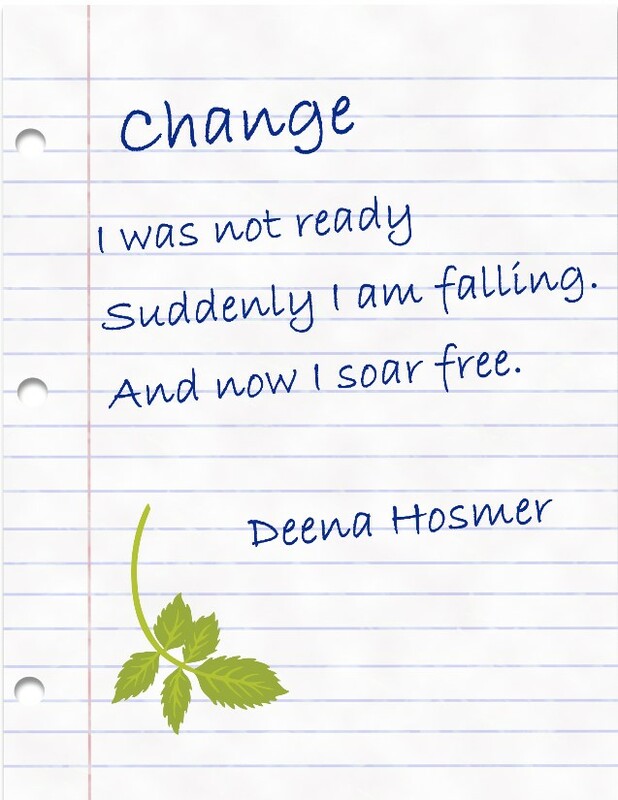 I’m lucky to have another lovely Poet, Deena Hosmer, blog today. Deena is a very artistic person. I asked her to tell us about her creative endeavors and to share her poetry with us. Here is what she had to say. For as long as I can remember I have been fascinated with words, how they sound, how they look, how they go together to impart meaning, and where they originated. I often write in my head purely for my own amusement. I truly can’t remember when I started writing; it seems it has always been a part of my life. My entire college career was centered on literature and writing. I began freelance ghostwriting blog posts, articles, and website content more than a year ago, and recently started ghostwriting nonfiction books this year. I’m also a published designer of cross stitch patterns inspired by quilt patterns, nature, fabric patterns, and anything else that takes my fancy. The one unifying theme is color; I like to combine bright, vibrant colors in unique and unexpected ways. My writing is the same. I enjoy weaving a conversational, sometimes quirky, tone into everything I write. My favorite form of poetry is haiku. I feel it is the greatest challenge a poet can face to impart so much meaning in a form of poetry that is, by its very nature, composed of so few words. 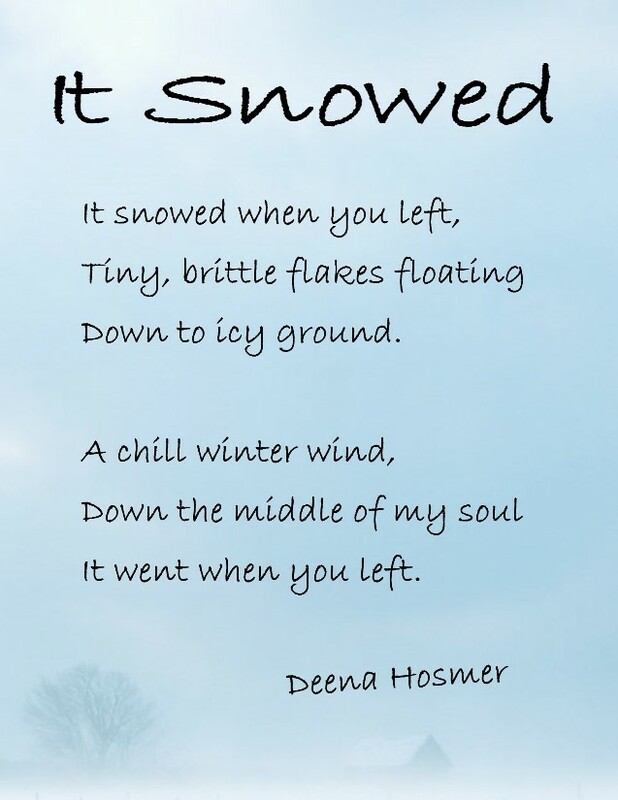 My haiku is usually inspired by emotions and events in my life and interwoven with nature. If I can’t be found on the computer writing or crafting my next colorful cross stitch creation, I can be found in my garden painting with flowers and telling a story with plants. Every moment of my life is driven by the desire to leave the world a better place than it was before. This was inspired by a huge change in my life. When my position at the university was eliminated due to budget cuts I felt like a fledgling bird suddenly pushed out of the nest. I had no choice but to fly or I would fall to the ground. I wrote this following the death of my older sister in 2011. 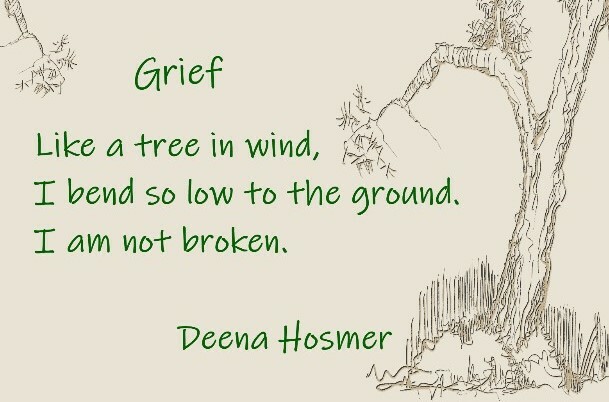 For me this was a way to express my grief and honor her memory by not letting it break me. I think of her every day and honor her by being the best person I can be. When my husband was in the Navy, before we married we had a long distance relationship. I wrote this double Haiku about him leaving after a visit. Wow. Thank you Deena. I’m fascinated with Haiku poetry and love these. What do you think about her poems? Leave a comment and let her know. You can catch up with Deena on Social Media click on the links below.